Effective facilities managers are vigilant. They keep a watchful eye on every aspect of the building in their care. However, roofing systems are a proverbial horse of a different color. Even the most thorough and proactive manager can sometimes miss things that can lead to costly repairs and roof replacements. Here are some of the most common mistakes that facilities managers make when inspecting their own roof, and tips on how to avoid them. Proactive inspections of a building’s roof are critical for keeping tabs on the conditions of the roof. Identifying potential issues early will save big money and big headaches down the line. Although do-it-yourself inspections by facility managers are key, the number one way they can prevent costly future repairs is to ensure professional roof inspections are being done on a regular basis by a trusted roofing partner. While major defects like wide tears or holes in the membrane may be obvious during a DIY inspection, other defects are far more nuanced and subtle (yet no less damaging to the integrity of the roofing system). When caught early, those defects can help stave off major failures and can prolong the life of the roof. Potential defects outside of obvious holes are wide-ranging and many are unique to the type of roofing system used on a building. For example, thermoplastic membranes are vulnerable to “cold welds,” wherein a section or sections of the membranes were not properly fused together during the welding process. Defective welds can be a result of moisture, dirt, or incorrect welding temperatures. Only an experienced roofer with expertise in thermoplastic membranes could spot such a defect on an inspection before that defect led to a major issue with the roof. A trusted roofing partner can and should conduct regular, professional inspections, but it is still a wise practice to get up on the roof in between those formal inspections. You never know when something could go wrong, and as they say, two heads are better than one. After each formal inspection, sit down with the roofer and go over their results and insight. Have the inspector walk you through the places and spaces that may require a little TLC in the future, and learn which areas of the roof you should keep a close eye on for changes. Regular examinations in between formal visits from your roofer ensures that damage will be spotted and repaired quickly. It can mean the difference between a tiny puncture in a membrane and a saturated roofing system. As discussed in the thermoplastic membrane example, experienced roofers know that defects look a certain way under specific circumstances. 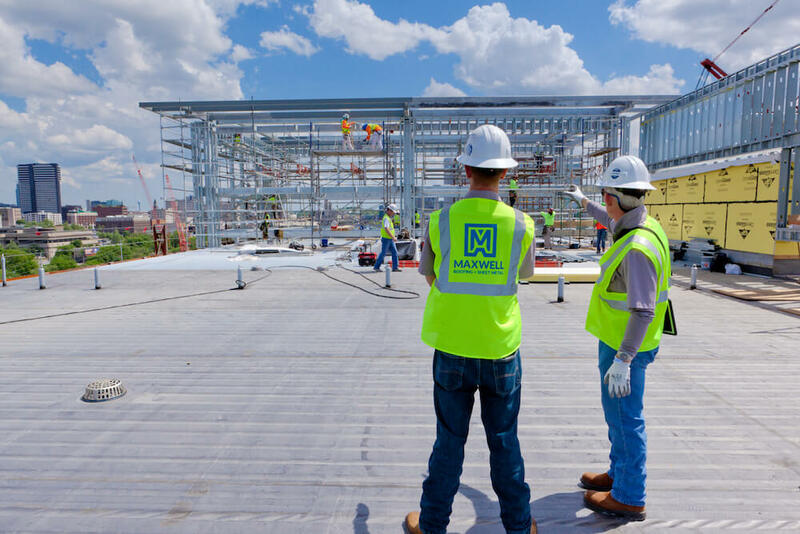 While the facility manager may be intimately familiar with the inner workings of the building, they don’t necessarily know how the roof has been assembled, how all of the components should work together, and how to spot problems in their particular roofing system. The vigilance of the facility manager who conducts regular DIY inspections of the roof coupled with the expertise of a roofing contractor who conducts regular inspections and maintenance can ensure that potential weaknesses are spotted and dealt with early, thus ensuring the roof performing its desired function.